Holmes County hunters in northwest Florida will enjoy their first full-length spring turkey season after 20 years – a result of a successful wild turkey restoration project and partnership between the Florida Fish and Wildlife Conservation Commission (FWC), National Wild Turkey Federation and local landowners. A turkey trapping and restocking program was initiated during back-to-back winters of 1998-99 and 1999-2000. A total of 121 wild turkeys (43 gobblers and 78 hens) were released at eight different locations within Holmes County during those two years. Local landowners spent their own money on habitat improvements, such as prescribed burns, timber thinning and planting food plots, which helped speed up the restoration process. Additionally, the NWTF formed a local chapter and assisted in turkey trapping efforts. The restoration goal of re-establishing a huntable population of wild turkeys was attained in 2006 when turkey hunting was reopened in Holmes County with a limited three-day spring season and a one-bird bag limit. Over the past decade, the spring turkey season in Holmes County has been extended incrementally, and based on harvest data, hunting success in Holmes County is now as good or better than that in surrounding counties. So beginning this spring, the season will be a full 37 days as it is statewide. These 26 WMAs do not require a youth spring turkey quota permit: Apalachicola, Aucilla, Big Bend – Snipe Island Unit, Big Bend – Spring Creek Unit, Big Bend – Tide Swamp Unit, Blackwater, Choctawhatchee River (only the south portion of the area), Escambia River, Herky Huffman/Bull Creek, J.W. Corbett, Joe Budd, Jumper Creek, Kissimmee Chain of Lakes, Kissimmee River, Lake Monroe, Lochloosa, Log Landing, Lower Econfina River, Middle Aucilla, Osceola, Richloam, Steinhatchee Springs, St. Marks NWR (Newport Hunt Area only), Three Lakes, Upper St. Johns River Marsh and Yellow River. Big Bend WMA - Jena Unit – 11,651 acres in Dixie County. Big Cypress WMA – 728,274 acres in Collier, Miami-Dade and Monroe counties. Quota permit required to hunt in the Addition Unit only. Season runs March 3 – April 8. Camping allowed. Devil's Hammock WMA - 7,600 acres in Levy County. Season runs March 17-25. There are 15 no-cost, daily quota permits available at the check station on a first-come, first-served basis. Green Swamp WMA - 50,692 acres in Polk, Sumter and Lake counties. Hunters must have a quota permit to hunt the first weekend, but there are 200 no-cost, daily quota permits available at the check station on a first-come, first-served basis for the remainder of season. Camping allowed only by special permit from the FWC. Herky Huffman/Bull Creek WMA - 23,646 acres in Osceola County. Camping allowed. J.W. Corbett WMA - 60,288 acres in Palm Beach County. Season runs March 3 – April 8, Wednesdays, Saturdays and Sundays only. Allowed to hunt until sunset. Camping allowed. Jumper Creek WMA - 10,552 acres in Sumter County. Camping allowed but only accessible by boat. Kissimmee Chain of Lakes Area - 21,028 acres in Polk and Osceola counties. Allowed to hunt until sunset. Camping allowed first-come, first-served only at designated campsites. Management area permit not required. Kissimmee River Public Use Area - 30,864 acres in Glades, Highlands, Okeechobee, Osceola and Polk counties. Area is split between turkey hunting zones. When hunting south of S.R. 70, the season runs March 3 – April 8. For camping information only, call the South Florida Water Management District at 866-433-6312, option 2. Management area permit not required. Lake Monroe WMA - 3,098 acres in Volusia and Seminole counties. Lochloosa WMA - 11,149 acres in Alachua County. Log Landing WMA - 5,015 acres in Dixie, Gilchrist and Lafayette counties. Season runs March 17-18 and 23-25, March 30 – April 1, and April 6-8, 13-15 and 20-22. Lower Suwannee National Wildlife Refuge - 55,000 acres in Dixie and Levy counties. Season runs March 17 – April 8. Management area permit not required, but hunters 16 and older must purchase Lower Suwannee NWR Hunting Permit. Raiford WMA – 9,141 acres in Bradford and Union counties. Quota permit not required April 5-8. Only bows and muzzleloaders (including muzzleloading rifles) are allowed. Richloam WMA - 58,146 acres in Hernando, Pasco, Sumter and Lake counties. Hunters must have a quota permit to hunt the first nine days, but those without one may hunt the remainder of the season. Camping allowed only by permit from the Florida Forest Service by calling 352-797-4140. Rolling Meadows Unit – Kissimmee Chain of Lakes Area – 1,800 acres in Polk County. Allowed to hunt until sunset. Management area permit not required. 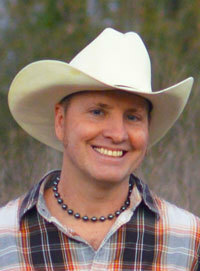 Santa Fe Swamp Wildlife and Environmental Area - 7,326 acres in Alachua and Bradford counties. Only bows and muzzleloaders (including muzzleloading rifles) are allowed. Three Lakes WMA - 63,470 acres in Osceola County. There are 625 no-cost, daily quota permits available first-come, first-served at the following check stations: U.S. 44 - 375, Canoe Creek – 50, S.R. 60 - 200. Camping allowed. Upper Hillsborough WMA - 5,178 acres in Polk and Pasco counties. Wednesdays and Thursdays only. There are 75 no-cost, daily quota permits available at the check station on a first-come, first-served basis. Camping allowed. Upper St. Johns River Marsh WMA - 120,386 acres in Brevard and Indian River counties. Camping allowed. Apalachicola WMA - 581,290 acres in Franklin, Leon, Liberty and Wakulla counties. Camping allowed. A camping permit issued by Northwest Florida Water Management District is required when camping on that portion of the area. Apalachicola River Wildlife and Environmental Area – 82,975 acres in Franklin and Gulf counties. Camping allowed, but camping permit required if camping in designated campground. Management area permit not required. Aucilla WMA - 50,471 acres in Jefferson and Taylor counties. Camping allowed. Hickory Mound Unit - 14,427 acres in Taylor County. Snipe Island Unit - 11,687 acres in Taylor County. Hunters must have a quota permit to hunt the first 16 days, but those without one may hunt April 2-8. Allowed to hunt until sunset. Spring Creek Unit - 14,600 acres in Taylor County. Tide Swamp Unit - 19,538 acres in Taylor County. Blackwater WMA - 191,651 acres in Santa Rosa and Okaloosa counties. May not turkey hunt in Field Trial Area. Camping allowed at designated campsites. Chipola River WMA - 9,094 acres in Jackson and Calhoun counties. Quota permit required to hunt Altha Tract only. Camping allowed only at designated campsites by permit from Northwest Florida Water Management District. Choctawhatchee River WMA - 57,998 acres in Bay, Holmes, Walton and Washington counties. Southern (non-spring turkey quota area) portion of the area may be hunted without quota permit. Camping allowed. A camping permit issued by Northwest Florida Water Management District is required when camping in designated campgrounds. Econfina Creek WMA - 41,193 acres in Washington, Bay and Jackson counties. Quota permit not required to hunt after the first nine days, except in the Cat Creek and Fitzhugh Carter areas (where quota permit is needed). Camping allowed only at designated campsites by permit from Northwest Florida Water Management District. Eglin Air Force Base - 250,000 acres in Santa Rosa, Okaloosa and Walton counties. Hunting and camping allowed only by permit from Jackson Guard Natural Resource Office by calling 850-882-4164. Escambia River WMA - 35,413 acres in Escambia and Santa Rosa counties. Camping allowed. A camping permit issued by Northwest Florida Water Management District is required when camping in designated campgrounds. Lower Econfina River WMA - 3,004 acres in Taylor County. Season runs March 17-25. Mallory Swamp WMA - 31,225 acres in Lafayette County. Season runs March 17 – April 1. Ochlockonee River WMA - 2,790 acres in Leon County. Saturdays and Sundays only. Pine Log WMA - 6,911 acres in Bay and Washington counties. Season runs March 17 – April 8. Camping allowed by reservation from Florida Forest Service by calling 850-373-1801. Point Washington WMA - 15,355 acres in Walton County. Camping allowed at Eastern Lake campsite by reservation from Florida Forest Service by calling 850-373-1801. Steinhatchee Springs WMA - 24,442 acres in Lafayette, Taylor and Dixie counties. Hunters must have a quota permit to hunt the first nine days, but those without one may hunt March 26 – April 8. 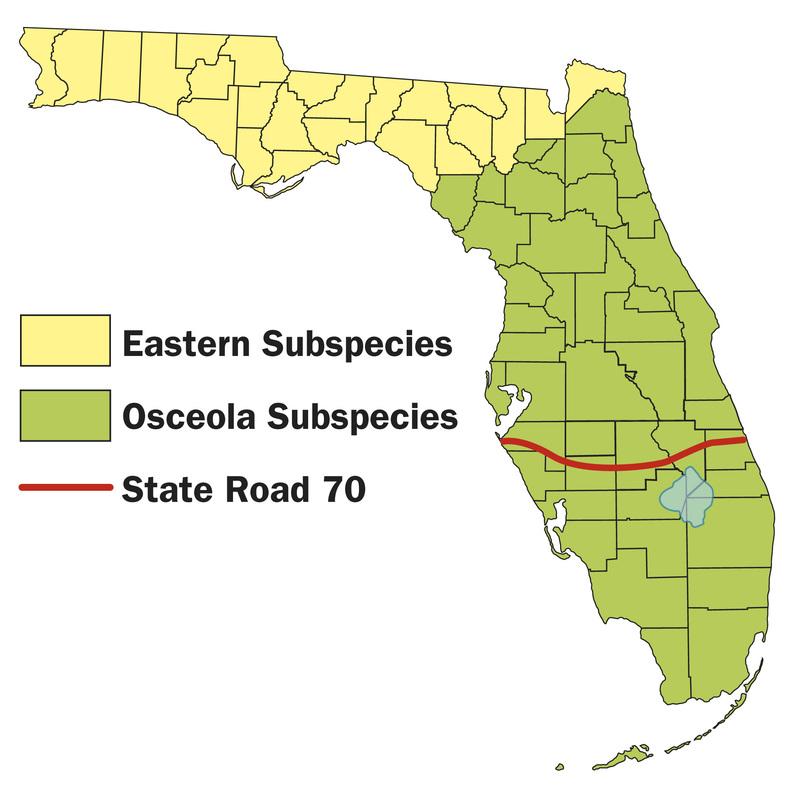 The Dixie County portion of the area is inhabited by Osceola turkeys. St. Marks National Wildlife Refuge – 32,000 acres in Wakulla, Jefferson and Taylor counties. Permit required on majority of the area, but not required for Newport Hunt Area. Management area permit not required but must have signed refuge hunting brochure in your possession. Talquin WMA - 3,053 acres in Leon County. Saturdays and Sundays only. Yellow River WMA – 27,208 acres in Santa Rosa and Okaloosa counties. Camping allowed. On private property, any legal rifle, shotgun, muzzleloader, crossbow, bow or pistol can be used to take turkeys. However, the allowed methods of take during spring turkey season are more restrictive on WMAs. Rifles and pistols are generally not allowed, and shotguns must use shot no larger than #2. Check the WMA brochure on the area you wish to hunt to be sure. You may use decoys, but you’re not permitted to hunt turkeys with dogs, use recorded turkey calls or sounds, or shoot them while they’re on the roost, over bait or when you’re within 100 yards of a game-feeding station when feed is present. Besides a hunting license, you’ll need to buy a turkey permit. 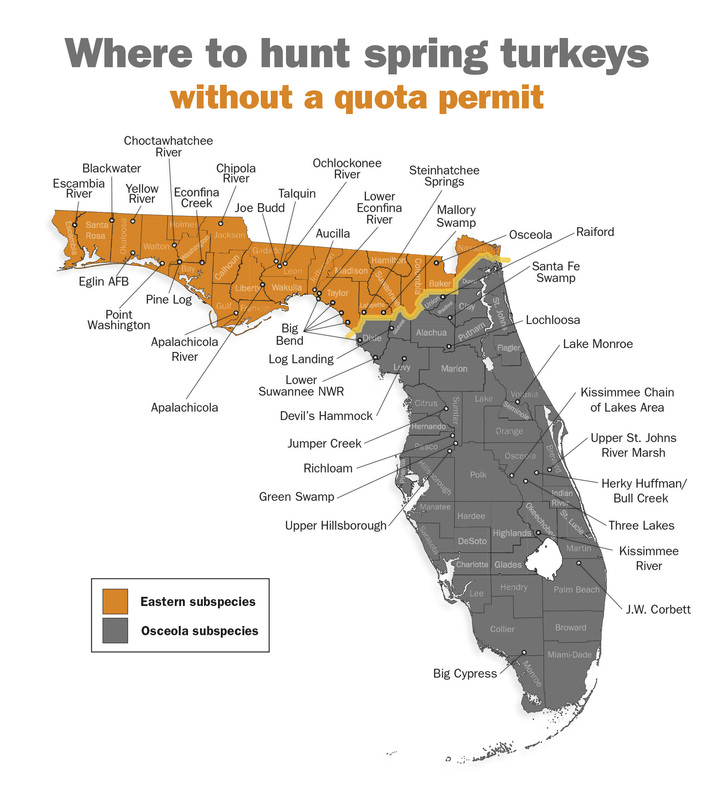 For Florida residents, the turkey permit costs $10. For all the out-of-staters who may be seeking an Osceola to complete their “Grand Slam” or who want to begin their season in the Sunshine State, the permit costs $125. And if you plan to hunt on a WMA, you also must purchase a management area permit for $26.50. These licenses and permits can be purchased in Florida at county tax collectors’ offices and at most retail outlets that sell hunting/fishing supplies, and with a credit card by calling 888-HUNT-FLORIDA (486-8356) or at GoOutdoorsFlorida.com. During Youth Turkey Hunt Weekend, no license or permit is required of the supervising adult, unless the adult plans to help “call-in” a bird or otherwise participate in the hunt. In that case, the adult will need a hunting license and turkey permit, and if on a WMA, they will also need a management area permit.